Your favourite Penguin and his friends are back in a new adventure, and this time they're pirates – ARRRRR! By day Rob is the award-winning art director of the Observer Magazine. By night he makes up silly stories for his three daughters, and draws pictures to go with them.He lives and works in London, Blown Away is his first book, and is the winner of the best illustrated and overall Waterstones Children’s Book Prize for 2015! 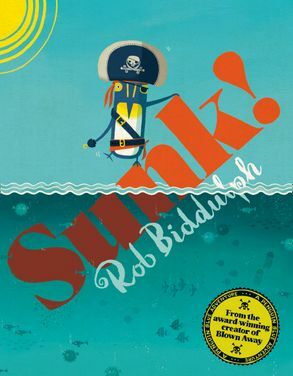 You can visit Rob and Penguin Blue at www.robbiddulph.com.